Norman Smurthwaite says he knows exactly what the Port Vale players and manager need right now – and it’s not criticism. The club’s chief executive and co-owner has called on supporters, home and away, to get behind whoever wears the shirt. 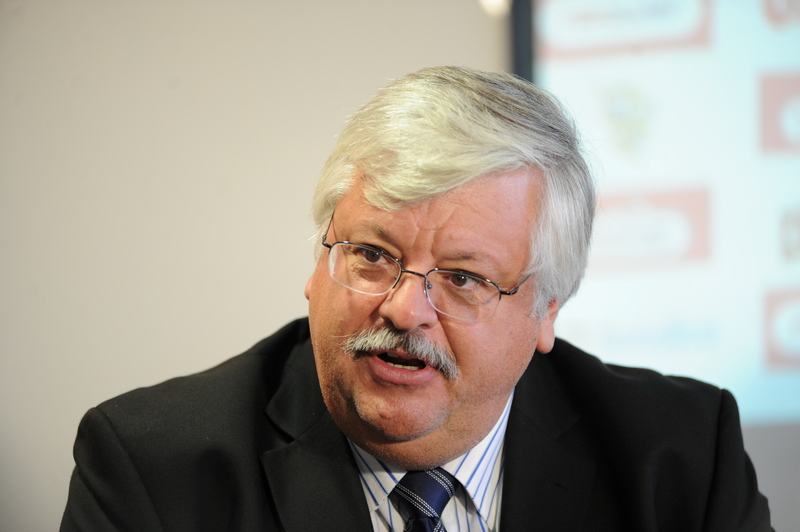 Smurthwaite said: “What the players and the manager need at this moment in time is a cuddle. They need us – the owners, the staff at the club and – crucially – the fans, to put our arms around them and make them feel warm and loved. “We can all see what is going on. We know that results haven’t been going for us, but criticising the players and the manager who have put us in the automatic promotion places won’t help. “Every other team and set of fans is out to get us. Our team and our manager are there to be shot at, and we can help take some of the heat off them by encouraging and supporting them at this difficult time. “The younger players aren’t daft. They know that this is their time and they know that unless they do the business they could end up painting and decorating Vale Park rather than playing here, which is a real privilege. “Of course, fans are entitled to their opinions and I understand their frustrations, but the truth is that everyone at the club is just as disappointed as them at the way things have gone recently. 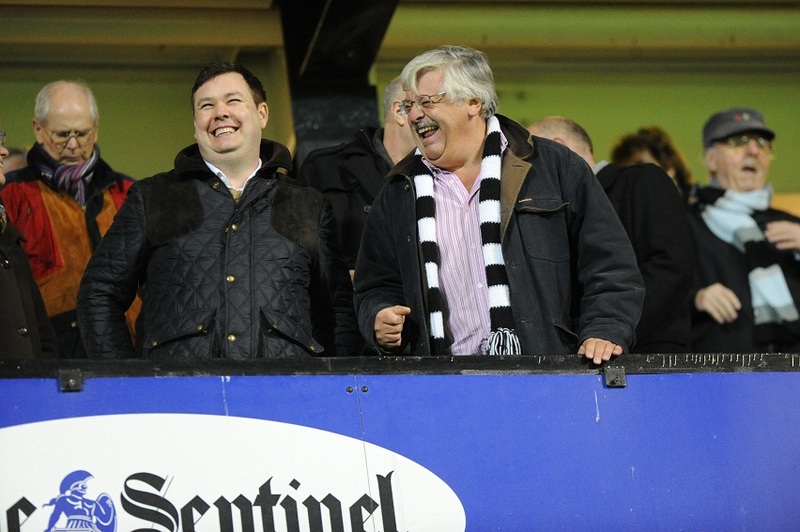 On the subject of the manager, Smurthwaite was unequivocal in his support. He said: “Micky Adams is going nowhere. He will be at York on Saturday, he will be with us until the end of the season and I fully expect him to be with us next season when we will hopefully be in League One. 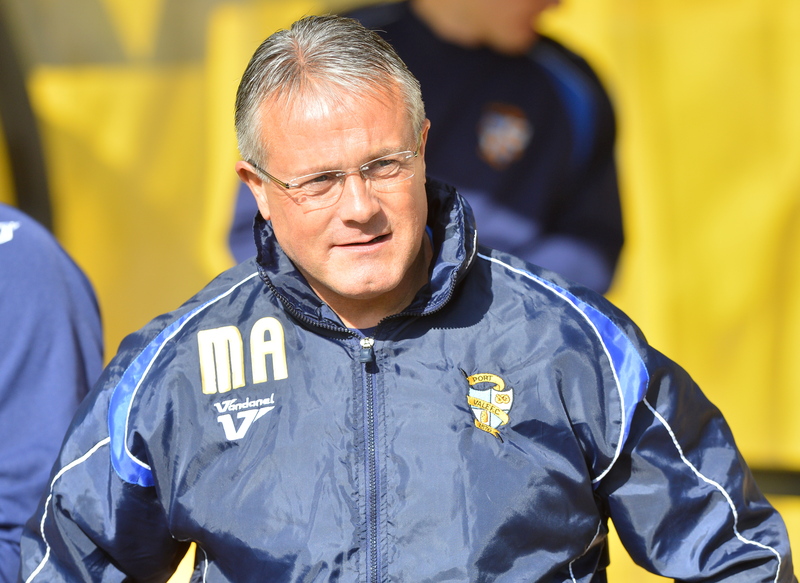 “There is no doubt that Micky Adams was one of the key reasons for me buying this football club. “As much as I saw potential in the stadium, I could see that we were lucky at this level to have a manager of his calibre and experience. “I was also struck with what he and the group of players he had assembled had achieved in the early part of the season before we came in and spent money to strengthen the squad. “If ever I’m feeling low I think back to that terrific day in the FA Cup at Sheffield United. I was so incredibly proud – even though we lost the game. “On that day I saw our potential. I saw how we could stand toe-to-toe with teams from a higher level, play good football and have fantastic supporters. On Tuesday night, midfielder Ryan Burge took to Twitter to claim he was just five minutes away from Bristol Rovers ground on Tuesday when he received a text saying he was not in the Vale squad. Asked what he thought about players voicing their disappointment at being left out of the squad on social media, Smurthwaite said he was disappointed. Smurthwaite said: “In a perfect world this kind of thing wouldn’t happen and issues between the manager and the players would remain behind closed doors. “However, I trust the manager and the players to get their heads together and sort these kind of things out. “They are grown-ups and they’re paid to do a job. This isn’t the time for fallings out. Despite Vale’s recent poor run, Smurthwaite said he was still “loving” the challenge. He added: “It was unfortunate but I had to be away for a few days and I returned to a real storm. “But nothing will divert myself or Paul (Wildes) from our goals. We are here for the long-haul. “I hope that the fans can see that we’re doing our bit and are happy with what we are doing. “It is a massive learning curve because we are still relative newcomers to the business of football, but I’d like to think the fans can see that we’ve done everything that’s been asked of us. “As an example, the wage bill for players and player support has gone up by 40 per cent in the time we’ve been here. That’s a significant investment to try to help the manager. 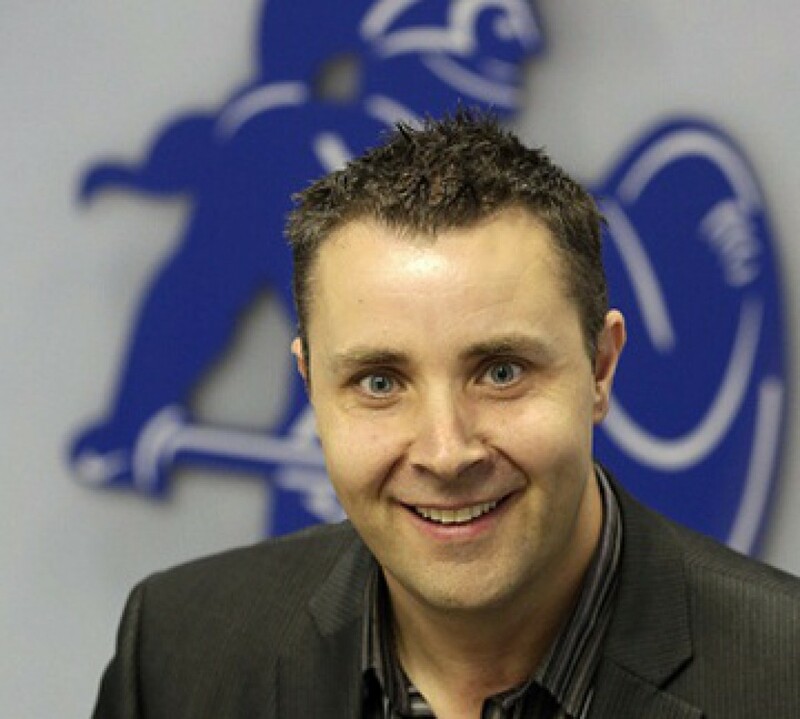 “Paul and I, and our staff, are working hard – perhaps doing the not-so-glamorous things which make the business sustainable because we want to build Port Vale up and go higher. “There are lots of positives, lots of things we are working on which the supporters aren’t aware of just yet, but which will help the club down the line and improve the experience for fans. “However, we understand fully that all that matters in the end to our customers is what happens out on the pitch on a Saturday or a Tuesday evening. It would be the easiest thing in the world right now to be negative; To condemn the manager and the players for the recent poor run of form. But, for me, the glass is still half full and I don’t see any value at this juncture in laying in to a team that still sits second in the table with a goal difference of plus 29. As anyone who follows Vale knows we never do things the easy way and I suspect supporters will have to grit their teeth and cross their fingers until the final game of the season. Love hurts, as Roy Orbison was oft heard to say, but Vale fans will doubtless keep the faith with this team forged out of adversity. I never thought we’d win the league but I do think we will still secure automatic promotion with five wins and a couple of draws from the remaining games. Tuesday night’s goalless draw against Bradford – a team that are no slouches, by the way (as their cup runs proved) – at least stopped the rot. On another day the Pontiff would have had a hat-trick and I expect normal service to be resumed soon and a visiting team to Vale Park to be on the end of a good hiding. Remember that the teams in the chasing pack can’t win every game and have to play each other in the coming weeks. The players need to forget all about the Cheltenhams, Rotherhams, Burtons and Exeters, stop looking over their shoulders and concentrate on what they did so well earlier in the season. Even without skipper Doug Loft, whose tackle on Tuesday night was no less rash than the one which earned Sam Morsy a red card earlier in the season, we are hardly short of options in midfield. For me, both Morsy and Ryan Burge warrant a starting place in order to help us win the crucial midfield battles – as does the excellent Louis Dodds who, in my opinion, is the best man to play off Tom Pope. If the gaffer doesn’t believe Ashley Vincent is doing the business then can I be cheeky and suggest he gives Ben Williamson a start in his place? Williamson’s goals return compared to that of, say, Calvin Andrew is far superior and his pace always causes teams problems. I guess my point is that the manager has choices – thanks to the support of the new owners in the transfer market. Now he just has to make the right ones. The reaction following Tuesday night’s defeat at home to Exeter was entirely understandable. Supporters are angry, frustrated and genuinely concerned that a team that looked odds-on for automatic promotion six weeks ago has lost its way. What was a terrific run of form in January suddenly feels like a long time ago and we are stuttering rather than strutting towards the end of the season. What seemed like a fairly simple equation in terms of points required for going straight up now seems probable rather than a nailed on certainty. The goals have dried up. Confidence players like our wingers simply aren’t producing the form they did earlier in the season. It has also been plain in recent games that the opposition has flooded the midfield and we’ve been overrun. These are the facts. This isn’t an over-reaction. I’m not being disloyal to the team or the coaching staff. What’s more, fans have every right to criticise and question when things go wrong – just as they lavished praise on the team and the manager earlier in the season. I still think we will finish in the top three and I’m not pushing the panic button just yet. But, by the same token, it is time we recognised who and what’s at fault here. This, I guess, is where we all become amateur football managers so forgive my clumsy attempt, as follows. Yes, some players are under-performing, but isn’t the simple truth that we got our tactics wrong on Tuesday night? Playing what is effectively a 4 – 2 – 4 formation against a team which sets up 4 – 5 – 1 is asking for trouble in my book. Ryan Burge and Doug Loft, as good as they are, need back up when a team swamps the middle of the park. Sam Morsy or Chris Shuker could easily have bolstered the midfield against Exeter – leaving the Pontiff as the loan target man. I wouldn’t dispense with our wingers, irrespective of their indifferent form of late, because both are capable of producing moments of creative magic. However, I would always favour either Ben Williamson or Louis Dodds playing alongside (or just behind) Tom Pope, rather than Calvin Andrew – even if he did score the winner against Torquay. As Mark Grew said a month ago it is a case of horses for courses now. Or at least it should be. Six wins and two draws are all we need so let’s keep the faith.